Whether traveling as a family, honeymoon, or just wanting a peaceful spacious suite, the Denali Suite is wonderful for any traveler. The "Denali Suite" features a king bed plus two twins and will accommodate four guests. 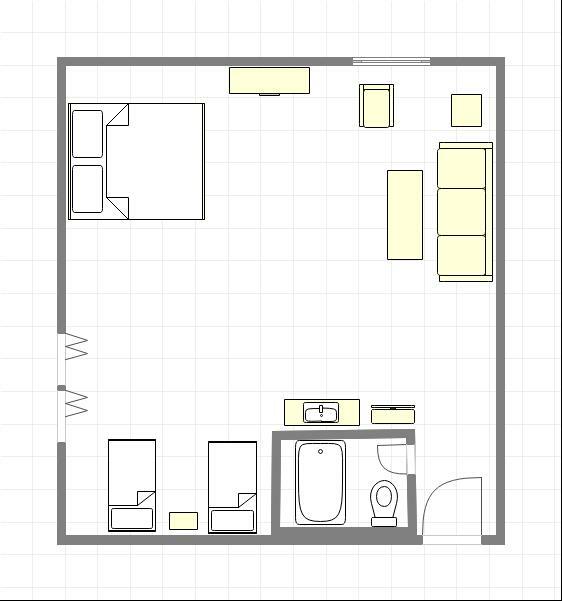 This suite has an ensuite private bath with a spacious jetted tub/shower. 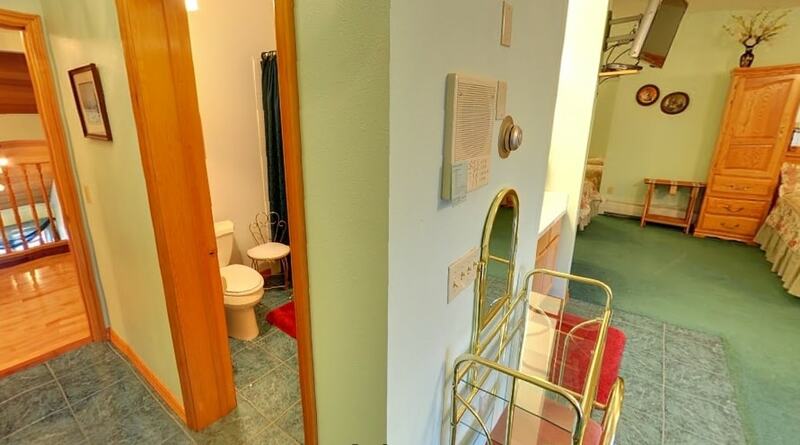 The sink and vanity are located conveniently outside of the bathroom. 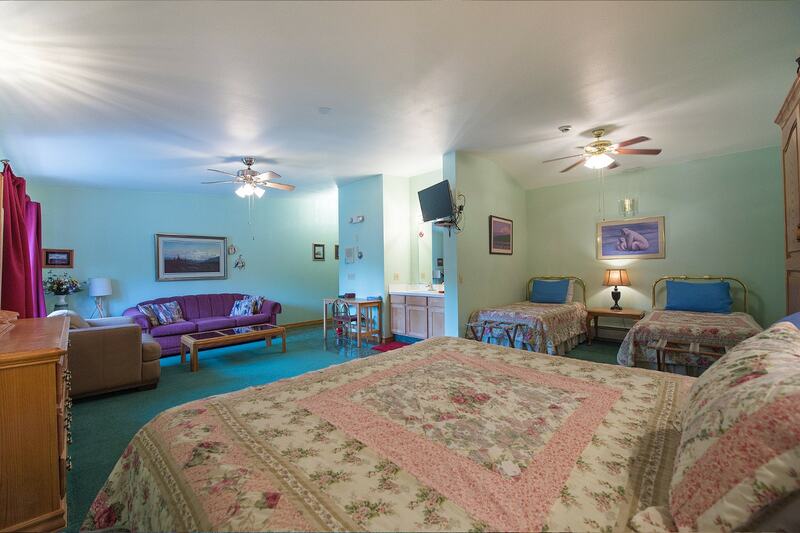 A view of the Chugach Mountains can be enjoyed from this suite. This suite is located on the second story thus requires a full flight of stairs. Mt. Denali in Denali National Park was named by the Athabascan people and means the "Great One". Denali rises 20,320 Feet and is the highest mountain in North America. We felt it was appropriate to name this suite "Denali" since it is the most spacious of our suites. 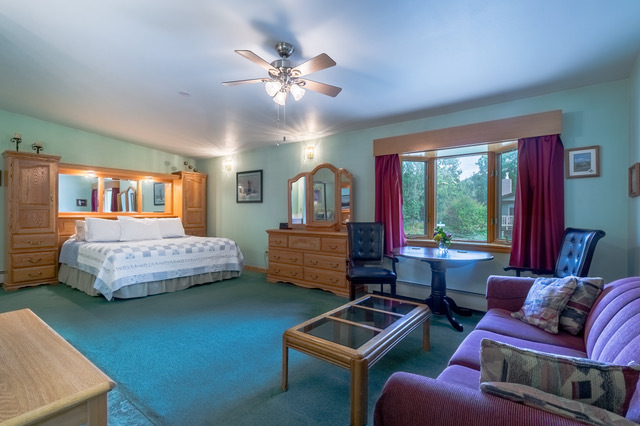 Whether you find yourself in Anchorage for a family holiday, business trip or Honeymoon, you'll enjoy the comfort and spaciousness of the "Great One" in this Anchorage Bed & Breakfast.